Perfect downtown location close to the picturesque old town and the promenades that run trough Merano, ideal for strolling and rambling. Nature experience in the middle of the city. With free underground parking. Experience Merano without a car. City Hotel Merano in the middle of Merano, the charming spa town in the west of South Tyrol. 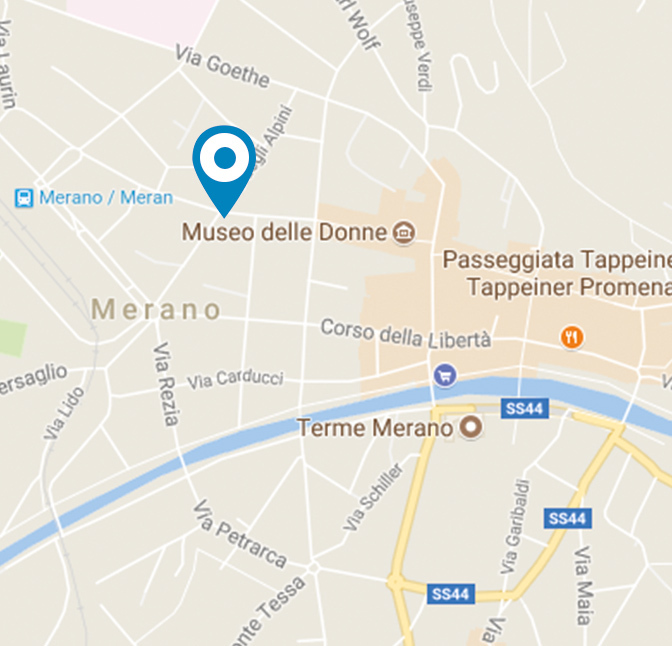 Perfect city centre location between the Merano arcades and the railway station, on the corner of Via Mainardo and Via Alpini, directly next to the Friday Market. And very close to the famous Christmas Market. Always a good choice for your business meeting or your vacation.